I have a simple webAPI build by Visual Studio 2013. It works well when I run it from VS13 but when I copy the project in local IIS it gives me the following error. Open up "Turn Windows Features on or off"
You'll be asked to restart the system. This should Fix the HTTP 500.19! I also was getting the same problem but after brain storming with IIS and google for many hours. I found out the solution. This error is because some settings are disabled in IIS applicationHost.config. <section name="handlers" overrideModeDefault="Deny" /> change this value from "Deny" to "Allow"
<section name="modules" allowDefinition="MachineToApplication" overrideModeDefault="Deny" /> change this value from "Deny" to "Allow"
If you're running IIS on that computer for the first time, you should try running the ASP.NET IIS registration tool (aspnet_regiis.exe). If you're using a different .NET framework version, simply replace v4.0.30319 with the appropriate folder name. 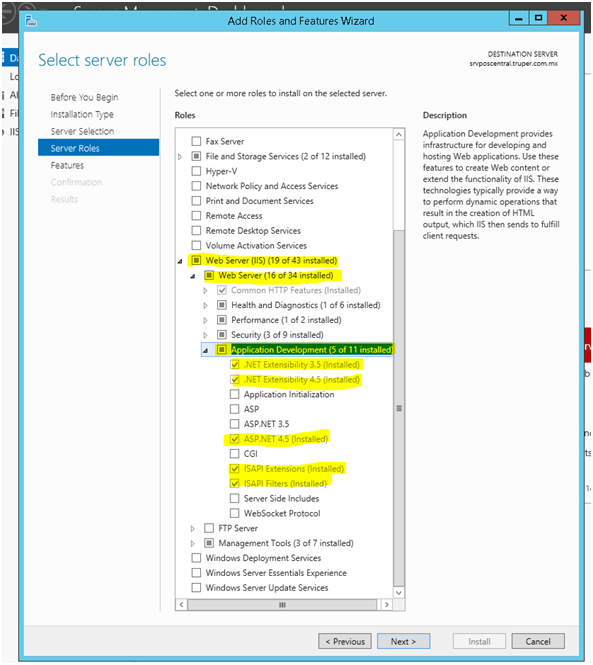 For more information on about section locking and what a parent configuration context is refer to IIS documentation. In my case, there were rules for IIS URL Rewrite module but I didn't have that module installed. You should check your web.config if there are any modules included but not installed. In our case, we struggled with this error for quite some days. It turns out that in control panel, programs, turn windows features on or off. We selected Internet Information Services, world wide web services, Application development features and there we check the set of features associated with our development environment. For example: ASP.NET 4.6. 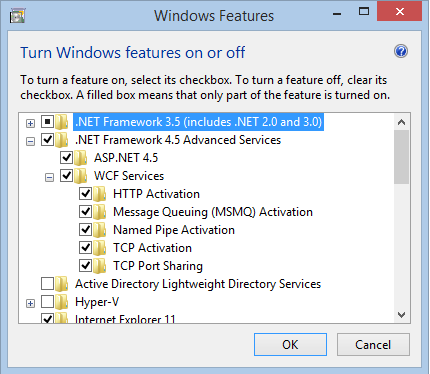 .NET Extensibility 4.6, etc. Your web.config describes that you're using forms authentication - make sure you enable forms authentication and disable anonymous authentication in IIS under the Authentication menu, for the website that is running in IIS. Please <staticContent /> line and erased it from the web.config. but it complained and gave a list of featurenames to try, so I tried them one by one and I tested my WebAPI webpage after each and it worked after the bottom one in the list. Also, I did some earlier steps following other people responses. I can confirm that the following Feature Delegation needs to be change (though I'd like to find a command line tool for these). For .NET Core apps on Windows Server (in my case 2012 with IIS 10) it worked after install .NET Core Windows Server Hosting bundle (link). Check if IIS server installed the URL rewrite feature. Some time we copied the config from legacy server and straight away deploy to brand new server, then we may encounter such kind of 500 issue. I fixed with removed anonymousAuthentication. Not the answer you're looking for? Browse other questions tagged asp.net-mvc iis asp.net-web-api asp.net-mvc-5 iis-8 or ask your own question.